Jesse Ward is back in the newest novel in the Sunday Times and New York Times best-selling This Man series! Life is good for Jesse 'The Lord' Ward. Perfect, actually. He still has the charm, he's in great shape, and he still reduces his wife, Ava, to a pool of desire with a mere look. He's in full control, just how he likes it. But Jesse's perfect world falls apart when a terrible accident lands Ava in hospital with a life-threatening head injury. Devastated and angry, he feels like his entire existence hangs in the balance. He cannot survive without this woman's love. So when she finally comes around, his shaking world begins to level out. But his nightmare doesn't end there. It's only just begun. Because his wife can't remember the last 16 years of her life. That's all of him. All of their time together. He is a stranger to her. Now Jesse must do whatever it takes to find her memories...and help her fall madly, passionately in love with him all over again. Where does With This Man rank among all the audiobooks you’ve listened to so far? I have been anxiously awaiting the release of the latest book in one of my favourite series ever since it was announced. 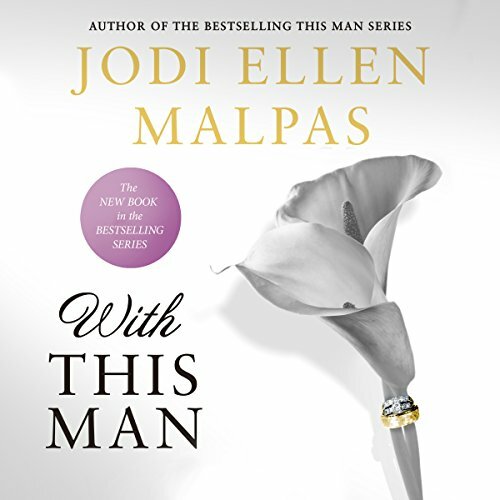 With This Man by Jodi Ellen Malpas was everything I hoped for and so much more. Jesse and Ava have always held a special place in my heart, but now I have to say that Jesse Ward is now one of my top book boyfriends of all time. Until I read and listened to this book I had no idea just how much I have missed these characters and his wonderful Jesse-isms. With This Man had me laughing out loud so many times and sobbing too. Jodie wove together a true masterpiece that absolutely did justice only to the Ward family but also their extended family of friends. Not only did I read this one but I immediately also purchased the audible version to listen to it as well. The audible addition was great to listen to. It brought across the angst, worry , frustration, humour and fear so much that my heart was palpitating at times. For fear of saying too much and to be honest I do not think any words I write will do this book justice, I am not going to say any more, other than to state that if you are a fan of this author and her series, then this is a must read. Well this was a fantastic walk down memory lane. Jesse Ward can be a very divisive lead character among readers, you either love him or loathe him, there is no grey area where the Lord of the Manor is concerned. I am definitely a lover. The book blurb tells you the premise of this story so I’m giving nothing away that isn’t already mentioned there. We pick up a few years after This Man Confessed left off and the kids are now 11 years old. Life is wonderful for the Ward family and Jesse is about to turn 50 years old. It’s been smooth sailing really and their friends Kate & Sam and Drew are having their own life changing moments too. When Ava is involved in a terrible accident she loses her memory, she can’t remember anything from the last 16 years, which means she has no memory of Jesse or their children. This is Jesse’s worst nightmare. Jesse sets out to help Ava remember their epic love story so he goes back to the beginning, right where they first met – The Manor. This wasn’t just a reminder of their love and the rocky road the travelled to where they are now. There is also Kate & Sam’s life, Drew’s, John and a few other new characters. There were several unexpected moments that completely shocked me and one poignant moment had me in tears. More than anything though was the intensity of Jesse & Ava’s love. Despite what she was going through the strength of her love for Jesse broke through as quickly as it did when they first met. He may have been a stranger to her but she felt him and knew deep inside that she was meant to be with him.